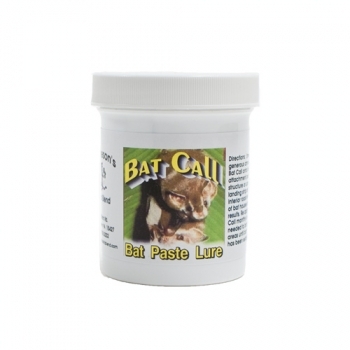 Bat Call Bat Gland Paste Lure is for use in bat traps or to attract bats to bat houses. This paste gland lure has proven to be a valuable asset to any wildlife control operator's business. Bat Call will promote faster response time and acceptance in either situation. Excellent for bat houses when used in conjunction with structural exclusion methods. Simply smear onto the landing strip and up into the roost area of the bat house. Re-apply monthly or as needed until the bat colony is well established.